It is very specific to the TTN 915MHz plan… basically they only use SubBand 1. With this in place my node joins in about 4 seconds or so and I see all eight channels being used randomly… not sure when the 500kHz channel will be used. Also, I found each LMIC fork to be a little different. I settled on the MCCI Catena LMIC fork which seems to be the most up-to-date and oriented to 915MHz. Does the gateway (i.e. 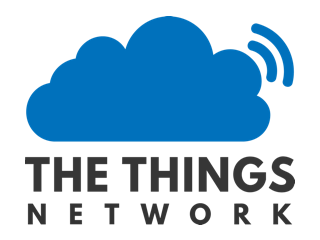 a kerlink one for me) needs to be tuned with ttn ? Man, you save my life, thank you very much. 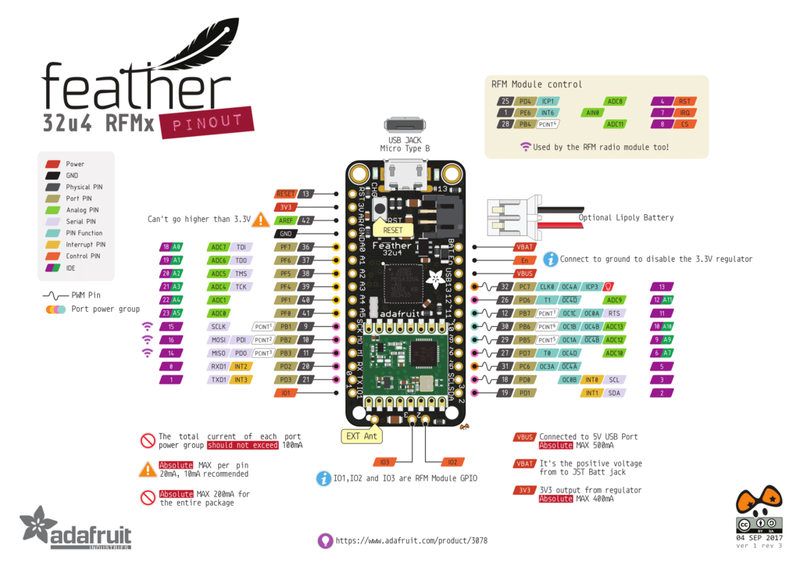 Has anyone managed to get the Adafruit Feather 32u4 to operate consistently? Messages are then transmitted at random intervals varying from a minute to 10 minute – after a time it stops transmitting at all. where is your 'modified code ? // Pin mapping is hardware specific. // after Joining a job with the values will be sent. // like controlling a relay, showing a display message etc. p_value=int16_t((pascal-970)/1); //1 mbar steps, offset 970.
after deepsleep doesn’t the 32U4 looses USB serial connection ? after compiling… how much mem left ? I don’t see any LMIC_setDrTxpow in your code; what SF are you using? Did you see LMiC's TX_COMPLETE event takes 20-30 seconds to fire? I have been working with a module that’s equal to adafruits feather 32u4. Check if DIO1 connection to D6 is wired correctly. Measure from RFM95 DIO1 pin, not the pin at the end of the longer pin header as there seem to be boards where connection between the RFM and that pin is missing. this proved to be the case on all three boards I have (one from the UK two from China) in that the RFM95 DIO1 pin was not connected! Had the same issues, as after some time I again built up the Feather 32u4 LoRa on a breadboard. Like @kersing already said, it is important to do the wiring from DIO1 to Pin 6 correctly. I actually made the mistake to make the wire connection to pin PD6 (which is the sixth pin counted down from the connector for the LiPo battery. Instead, use pin 6 as counted in the Arduino IDE, which has label “6” printed on the board and is the fourth pin (on the side of the LiPo connector) counted from the opposite direction of the LiPo connector). You also might want to have a look at the LMIC stack by @Charles Hallard. This stack allows you to use any DIO configuration including no DIO’s attached to the microprocessor at all.